Presidential candidate Vladimir Putin has outlined his election agenda in a newspaper article published on 16 January 2012. Writer and political analyst Igor Panarin believes Putin’s new ideology as president is already apparent. As I was reading Vladimir Putin’s rather emotional article titled “Russia Concentrates: Challenges We Must Address” in the Izvestia daily, I thought back to his very first presidential campaign, 12 years ago. On 6 May 2000, one day ahead of his inauguration as president, Vladimir Putin visited the Russian Civil Service Academy to deliver a speech in front of the heads of regional electoral commissions. Since I was serving as Head of the Central Electoral Commission’s Analysis Department at the time, I had the privilege of listening to the president-elect from the front row. Mr. Putin had just arrived from Sochi before heading straight to the academy. Back then, he had not yet been exposed to the whirlwind of opinions and expectations that engulfs any incumbent senior official in Moscow. He was emotional and deeply philosophical as he spoke, and although I was to see him on many occasions later on, I never saw him like this again. The way Russia’s domestic political situation unfolded between 12 January and 16 January 2012 reminded me of the course of events in May 2000. Today, two months ahead of the presidential election scheduled for 4 March 2012, Vladimir Putin is an undisputed frontrunner. Polls conducted by Russia’s leading public opinion research institutions, the Levada Center and the Russian Public Opinion Research Center (VCIOM), give Putin an approval rating of 44 and 48 per cent respectively. According to VCIOM’s poll of January 7—8th, 2012, 48 per cent of Russians plan to vote for him in March. This is 6 per cent more than Putin’s own approval rating right after the parliamentary election last December, and 3 per cent more than his rating on New Year’s Eve. Putin’s closest competitors for the coming election are Communist Party leader Gennady Zyuganov (10 per cent) and the notorious Vladimir Zhirinovsky (9 per cent). This explains the enormous popular interest enjoyed by Putin’s draft election agenda, titled Program 2012—2018, which was published at http://www.putin2012.ru on January 12th. The draft was developed by the Institute for Social-Economic and Political Research, which was established specially for this purpose and is headed by the former long-time President of the Chuvash Republic, Nikolay Fedorov. Of course, Mr. Putin’s real action plan as president will only be revealed after his inauguration, given that he wins the election. That said, the already disclosed draft agenda and his latest article in Izvestia provide a certain insight into Putin’s new ideology: a Development Strategy for Russian Civilization. It should be noted that Putin’s draft agenda published last week has already drawn a broadside of criticism from both the parliamentary opposition and the demographic represented by the Bolotnaya Square protest rally, who blasted away at the presidential hopeful for lacking new ideas while reciting received wisdoms. Admittedly, much of the critique was rather shallow and unsubstantiated. I personally read numerous comments and opinions from various political parties and personalities before reading Putin’s draft agenda itself, and I can tell you that my initial impression of Putin’s plans was rather negative. However, a more in-depth analysis of the draft gave me the idea that there are some principally new ideas to his new strategy after all. - Crafting a new education concept for children and youth, based on securing a safe information environment for them, mainly in terms of family and the education system. Putin must have carefully read comments about his program and then spent a long time digesting the criticism. He is an introvert, so he is quite slow: he considers everything thoroughly and then formulates his answer. So, after much consideration, Putin decided to make his point of view clearer for voters and published his vision of the Russian idea in Izvestia on January 16. He first raised the subject shortly before the 2000 presidential campaign, when he published a conceptual article called “Russia at the turn of the millennium” on Dec. 30, 1999. On May 6, 2000, after presenting a run-of-the-mill report, Putin started taking questions from the audience. They were pretty tough and called for specific answers about his vision regarding Russia’s future. It was at that point that Putin finally revealed himself as an emotional and deeply philosophical person who is capable of strategic planning for decades ahead. Nobody expected it from him, myself included. Anyway, for a variety of reasons his strategic plan for Russia’s transformation remains less than 25% fulfilled. Today, just as when he was addressing the audience at the Government Service Academy 12 years ago, he became very emotional when attacked, and did his best to explain why he was unable to carry out his plans. It was very significant that this was done publicly, because it is psychologically difficult for an introvert to take such a step. 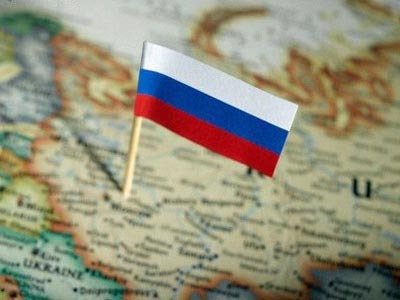 It became very clear in the late 1990s that the idea of Russia as a strong nation and a world power had become very strong in the mindset of the Russians. An absolute majority of the Russian people (more than 90 per cent) wanted Russia to be a strong and socially oriented nation in the 21st century. Vladimir Putin’s success in the presidential election of 2000 was definitely based on this new priority in Russians’ mentality. That is why Putin explained that he, along with his associates, had to save Russia’s statehood. That is why his plan to build a strong nation became the keystone of the Russian idea he presented in December 1999. After the Orange Revolution in Ukraine in 2004, the Russian government took steps to rule out the possibility of a “color revolution” in Russia. First, it used the idea of “sovereign democracy,” which was later (by 2010) replaced with a new vision – that of Eurasian integration. It was only in 2011 that Putin’s New Ideology began to take shape. It includes valuable ideas from the past and is expected to be completed by May 2012. Essentially, on January 16 Vladimir Putin invited everybody, especially the middle class, to a wider dialogue about the future, priorities, Russia’s long-term choice, national development and national prospects. At the same time, he reminded the intelligentsia that freedom without a moral core leads to lawlessness. On January 16, Vladimir Putin appeared before us all as an emotional and future-oriented politician. The world has entered a systemic crisis, a turbulence zone and a period of profound transformation on the way to the Sixth (ethical, intellectual and creative) Wave. Only by playing an active role in developing the principles of a new world order will Russia secure a decent place in the world appropriate for Russian civilization, considering its huge educational potential. And this requires public accord, which is impossible without dialogue. Only then will Russia be able to preserve and further develop its moral and cultural values and become a moral core and the center of gravity for the cultures of the West and the East, the North and the South. This is precisely what Putin’s New Ideology is about. This is why he invites the nation to discuss our national priorities.